The broad portrait James Comey tries to paint is of President Trump as a president so far outside democratic norms that he is a danger to the republic as he regularly spouts conspiracy theories and untruths. The book isn't set to be released until next week, but NPR has obtained a copy. In it, Comey reflects on the circumstances surrounding his dismissal, reveals further insights into his fraught conversations with the president and examines his own controversial decisions — namely how he handled the investigation into former Secretary of State Hillary Clinton's private email server and whether he impacted Clinton's chances against Trump in the 2016 presidential election. The broad portrait Comey tries to paint is of Trump as a president so far outside democratic norms that he is a danger to the republic as he spouts conspiracy theories and untruths regularly. "This president is unethical, and untethered to truth and institutional values," Comey writes. "His leadership is transactional, ego driven and about personal loyalty." And ultimately, it may have been Comey's refusal to bend to that demand for loyalty, he believes, that led to the president to suddenly fire him almost a year ago. 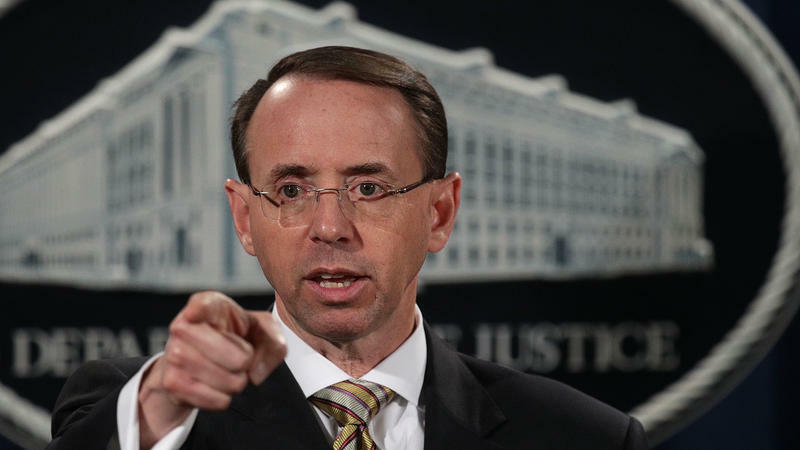 That set in motion the appointment, by Deputy Attorney General Rod Rosenstein, of special counsel Robert Mueller. The title of Comey's book itself is a nod to his belief that a public servant's allegiance should not be to one man but instead to the belief in democratic ideals and to the Constitution. Early in his law career, Comey writes, he worked as a prosecutor targeting organized crime, and he compares many of his interactions with Trump to those of mobsters and the Mafia. "The silent circle of assent. The boss in complete control. The loyalty oaths. The us-versus-them worldview. The lying about all things, large and small, in service to some code of loyalty that put the organization above morality and above the truth," he writes. 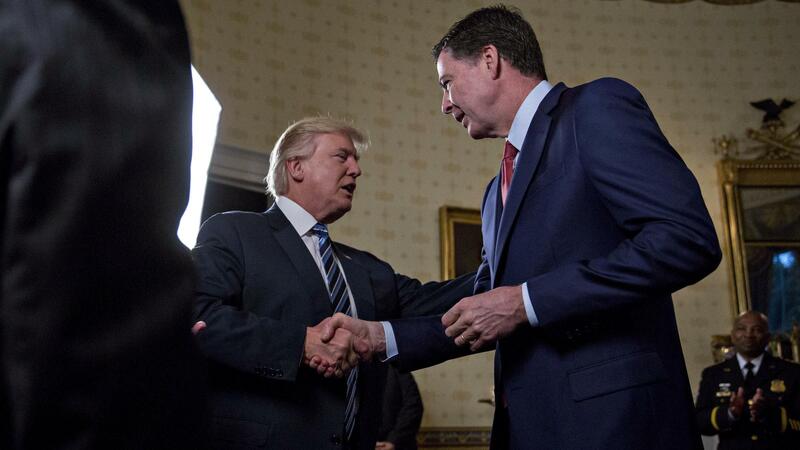 Of the now infamous one-on-one dinner he had with Trump at which Comey says the president demanded loyalty — but Comey would only promise honesty and, finally, "honest loyalty" — Comey writes that the president's "demand was like Sammy the Bull's Cosa Nostra induction ceremony," a reference to a member of the Gambino crime family who would eventually turn state's evidence to help bring down mob boss John Gotti. In its response to the book, the Republican National Committee made its own play on the book's title. "James Comey's book is really just a way for him to make money off of his true higher loyalty – to himself," the RNC said in an email to reporters Thursday evening after several reports about the book and its contents were posted online by multiple media outlets. And Trump himself fired back on Twitter early Friday morning, a "proven LEAKER & LIAR" whose firing was fully justified. 2. Were Trump's actions illegal? Comey also writes about the pressure he felt from Trump when the president asked the then-FBI director whether he could "see your way clear to letting this go, to letting [Michael] Flynn go." The president's longtime ally and former national security adviser, Flynn, had to resign because he had misrepresented to Vice President Pence his conversations with Russia's ambassador during the presidential transition. Flynn has since pleaded guilty to lying to the FBI as part of a plea deal with Mueller. Precisely what Trump and others knew about what took place during the presidential transition and the early weeks of the administration remains unclear. Comey reserves judgment on whether Trump's actions then and other times since constituted obstruction of justice, admitting, "I have one perspective on the behavior I saw, which while disturbing and violating basic norms of ethical leadership, may fall short of being illegal." He does, however, fault those who overlook how much he says Trump's actions are beyond the pale. Comey's ire seems to extend to much of a Republican Party that he appears to feel has made a Faustian bargain with Trump. 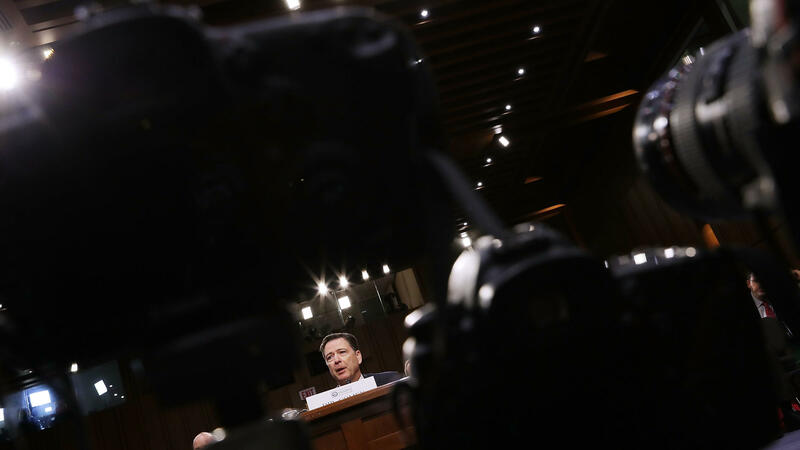 "It is also wrong to stand idly by, or worse, to stay silent when you know better, while a president brazenly seeks to undermine public confidence in law enforcement institutions that were established to keep our leaders in check," Comey writes. The difficulty confronted by the Washington establishment is embodied by retired Marine Gen. John Kelly. Comey writes that after he was fired, then-Secretary of Homeland Security Kelly phoned and offered to resign in protest in an "emotional call" with him. "He said he didn't want to work for dishonorable people who would treat someone like me in such a manner. I urged Kelly not to do that, arguing that the country needed principled people around this president. Especially this president," Comey writes. Less than three months later, Trump would tap Kelly to be his chief of staff, but his relationship with Trump is described as tenuous. 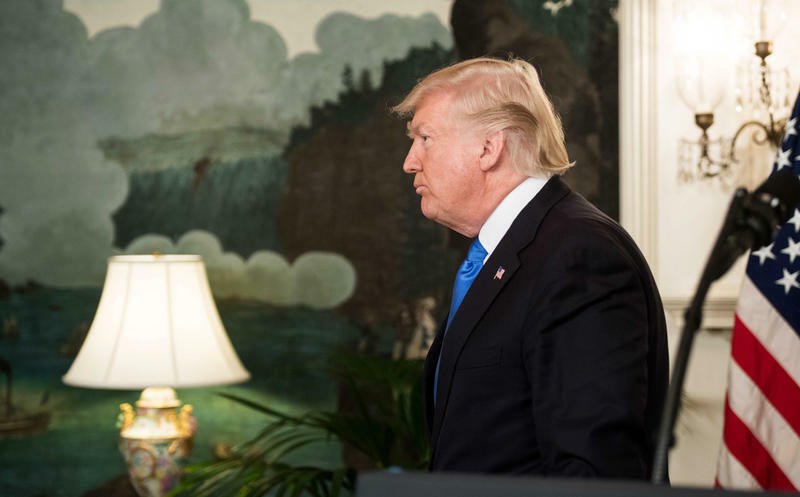 While many liberals and opponents of the president are likely to cheer the stinging rebuke Comey delivers of Trump, they also won't forget one of his most controversial decisions. Comey released a letter less than two weeks before the 2016 election revealing the FBI had reopened its investigation into Clinton's private email server used while she was secretary of state. Many in Clinton's camp — and the former Democratic nominee herself — have said they believe that may have swayed the election. Ultimately, the weekend before the election, the FBI said no relevant information had been found. Clinton, however, felt she had been tarred too much too close to Election Day. In his testimony before Congress last year, Comey told senators the idea that he had impacted the election with that pronouncement made him "mildly nauseous." "I have read she has felt anger toward me personally, and I'm sorry for that," Comey writes in the memoir. "I'm sorry that I couldn't do a better job explaining to her and her supporters why I made the decisions I made." In his book, Comey explains that one reason he felt he had to release the letter was because he believed that Clinton was going to win — and he didn't want her presidency to be tainted. 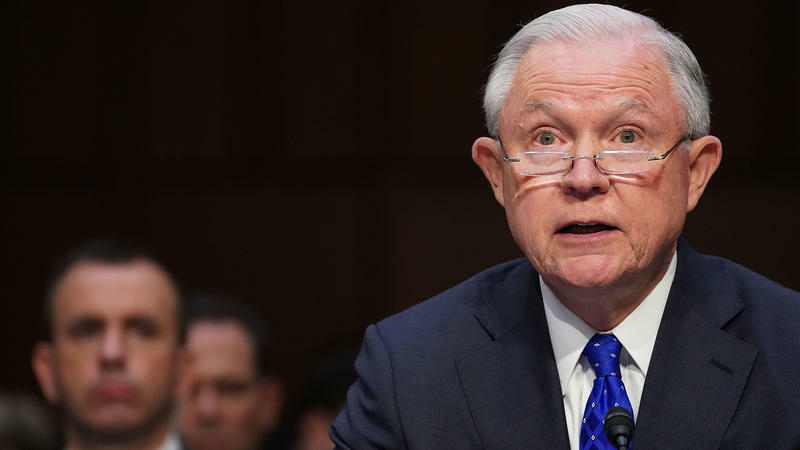 "It is entirely possible that, because I was making decisions in an environment where Hillary Clinton was sure to be the next president, my concern about making her an illegitimate president by concealing the restarted investigation bore greater weight than it would have if the election appeared closer or if Donald Trump were ahead in all polls. But I don't know," Comey writes. After Clinton's loss to Trump, Comey says President Barack Obama reassured Comey he had conducted himself the right way. "I picked you to be FBI director because of your integrity and your ability," Obama said, according to Comey. "I want you to know that nothing – nothing – has happened in the last year to change my view." In July 2016, Comey went before TV cameras to announce that the Justice Department would not be filing charges against Clinton but that he felt she had acted irresponsibly by handling classified material on the personal email server. In the book, Comey writes that he regrets using the language "extremely careless" to describe Clinton's conduct because it is so similar to "grossly negligent" — the legal standard under which she might have been prosecuted. Everyone on the investigative team agreed there was no case against Clinton, Comey writes. Comey said he still believes he did the right thing by making that statement because the Justice Department had taken a similar approach in other high-interest investigations. Plus, he also confirms that the FBI had unverified classified information that could have hurt then-Attorney General Loretta Lynch's credibility in overseeing the probe — and that's one reason he took a more high-profile role. "Had it become public, the unverified material would undoubtedly have been used by political opponents to cast serious doubt on the attorney general's independence in connection with the Clinton investigation," Comey says. He doesn't elaborate more on what that information may be, simply that it's a "development still unknown to the American public to this day." The Washington Post has reported that the FBI obtained what appeared to be a Russian intelligence intercept that described documents in which Lynch assured Clinton's campaign that she would go easy on them in the email investigation. Comey and other FBI officials are believed to have suspected that intelligence was phony, but it, in part, prompted Comey to take matters into his own hands given the damage it might have done to Lynch's credibility if it became public. But Lynch has also come under fire for a tarmac meeting with Clinton's husband, former President Bill Clinton, as the investigation was underway. Comey says he saw no evidence of her interfering with the probe. Comey also says that Trump was intently focused on disproving some salacious allegations in the unverified dossier — authored by former British spy Christopher Steele — about Trump's alleged actions with Russian prostitutes, raising it several times with Comey. Trump "strongly denied the allegations, asking — rhetorically, I assumed — whether he seemed like a guy who needed the service of prostitutes," the former FBI director writes. One reason Trump wanted the allegations disproved was that he feared there was a very slim chance his wife, Melania, might believe them. "He just rolled on, unprompted, explaining why it couldn't possibly be true, ending by saying he was thinking of asking me to investigate the allegation to prove it was a lie. I said it was up to him," Comey writes. But one thing that Comey said wasn't on Trump's mind was dealing with the threat posed by Russia. 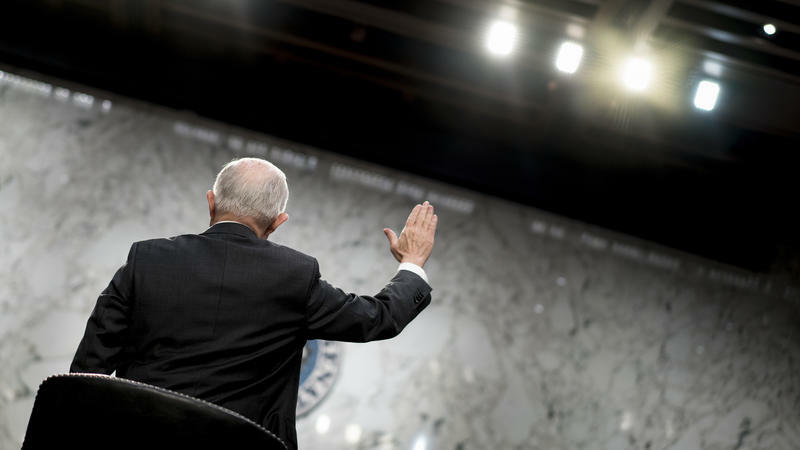 The United States had publicly blamed Russia for interfering in the 2016 race, and by early 2017, the outgoing Obama administration was taking punitive actions including kicking out intelligence officers and closing Russian diplomatic posts inside the United States. Trump and his advisers, however, were not curious about any of that, Comey writes. He recounts a meeting in which he and intelligence officials briefed the then-president elect in January 2017 at Trump Tower. Trump and his aides were more concerned with how to "spin" the information they had just been given and concerned about the perception that people might believe the only reason Trump was elected was the Russian "active measures" effort. "They were about to lead a country that had been attacked by a foreign adversary, yet they had no questions about what the future Russian threat might be," Comey writes.